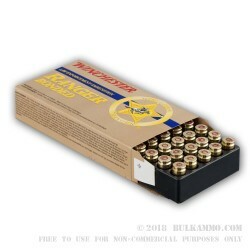 Winchester Ranger ammunition, designed for the self-defense needs of law enforcement agents, is a popular choice for CCW and home defense due to its effectiveness and reasonable price. 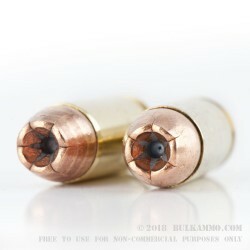 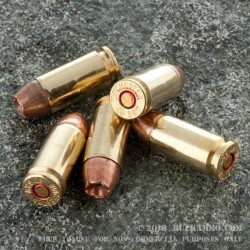 These .40 S&W cartridges use a 180 grain jacketed hollow point bullet with a bonded core for reliable terminal performance and penetration through auto glass and other obstructions. 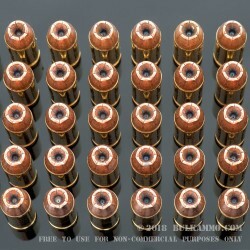 Expect a muzzle velocity of around 1025 feet per second. 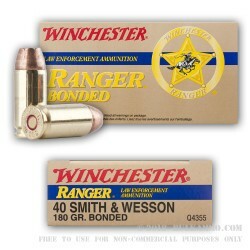 A division of Olin, Winchester traces its history back to the Winchester Repeating Arms Company, which was founded in 1855. 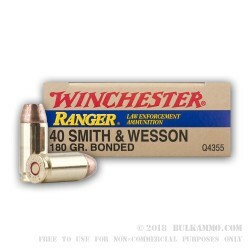 Winchester’s distinctive firearms, produced under license by FN and Browning, continue to be sold under the Winchester brand; however, the company itself currently focuses on ammunition. 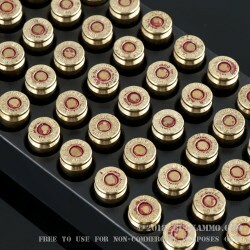 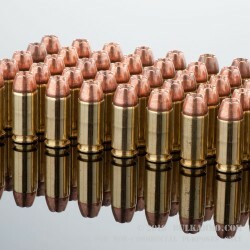 Its ammo is highly popular among federal law enforcement agencies and local police departments due to its moderate cost and excellent performance characteristics. 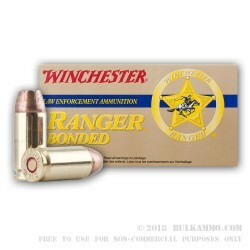 A: Winchester Ranger Bonded ammunition has comparable expansion to "T series" projectiles, but generally has greater penetration, higher weight retention, and also performs better through barriers such as steel and auto glass.